This collection of selected excerpts focuses on The Canadian Historical Review's contribution to the study of Canadian history from the journal's founding in 1920 to the present. Using the CHR's own interconnected objectives as a benchmark - the promotion of high standards of historical research and writing in Canada, and the fostering of the study of Canadian history - Marlene Shore analyses the varying degrees of success the journals had in meeting its those goals. Her introductory essay shows how the CHR was shaped not only by its own editorial policies, but by international currents affecting the discipline of history and its practitioners. The excerpts, each accompanied by critical commentary, were chosen as representative of the major trends, crucial studies, and main controversies in Canadian historical writing. Shore has arranged them chronologically and thematically into four sections: Nation and Diversity, 1920-1939; War, Centralization, and Reaction, 1940-1965; The Renewal of Diversity, 1966 to the Present; and Reflections. Among the key themes explored by Shore and the contributing historians, Native-European contact, society and war, the nature of Canadian and Quebec nationalism, class-consciousness, and gender politics are highlighted. 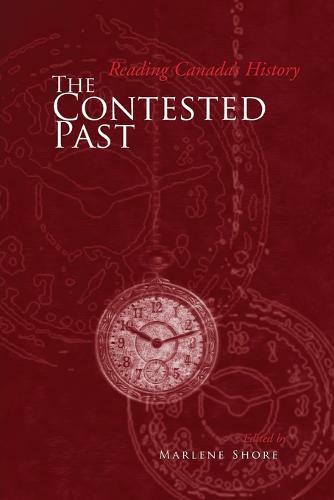 Broad in scope and focused in intent, The Contested Past offers an excellent introduction to Twentieth Century Canadian history and historiography.